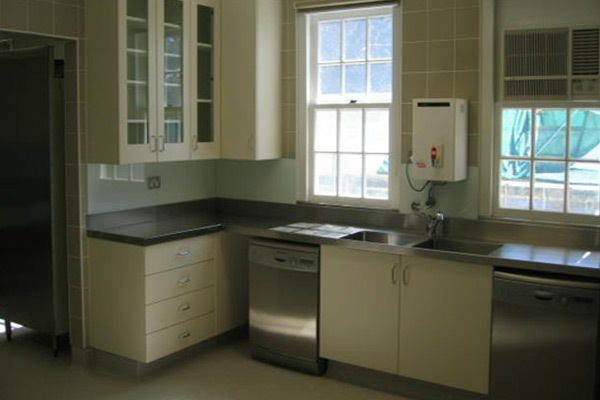 The project consisted of the total refurbishment and construction of a new commercial kitchen in the annex to the Ambassador’s Residence. This required extensive demolition and reconfiguration with new equipment, benching and wall and floor finishes. The final result was a world-class food preparation precinct constructed within the strict security requirements of the American Embassy. The integration of new equipment into the existing service structure required close liaison with the architect.